The Kuching Teochew Association was one of the five pioneer Chinese dialects associations formed more than a century ago. There was no official registration of societies then to trace its exact date of formation, however, there were records of Chinese immigrants even prior to the Rajah Brooke rule in 1841. The formation of the Kuching Teochew Association originated from the “Hiang Tiang Siang Ti” temple that was a house of worship for the Teochew. In the early days, the Teochew immigrants brought with them their religious worship and traditional customs from their homeland to Kuching. Starting a new life in a new land away from home, religious worship became their strong spiritual support for a blessed new livelihood in Kuching. The temple thus played a significant role in uniting the Teochew community and later in the development of the Kuching Teochew Association. When the “Hiang Tiang Siang Ti” Temple was built, it was a very simple building located at the previous “Soon Hong” Street (now known as the Main Bazaar). There was record that the temple was razed by fire on 20th January 1844. The Temple was later re-sited to its present location at Carpenter Street. The inscription at the temple recorded that the temple was constructed in 1863 (on the Chinese Winter Festival). This date has been adopted as the formation date for the Kuching Teochew Association. 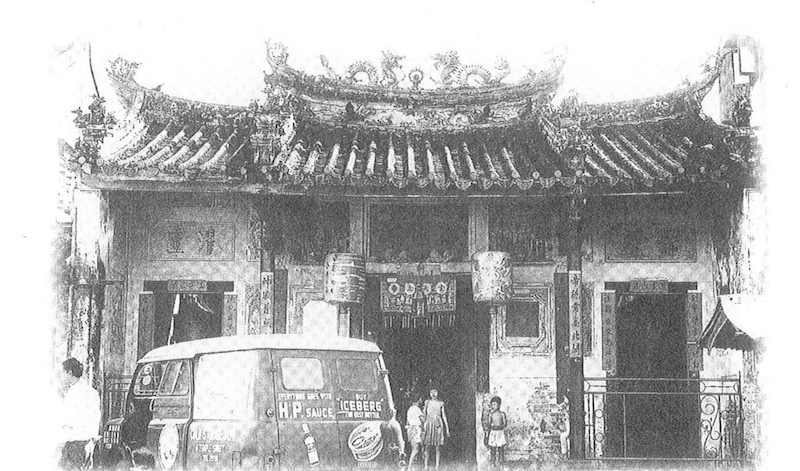 The temple was razed by fire on the 20th January 1884 and the Teochew community came together again to reconstruct the temple in 1887. In the old days, a management committee called “Ngee Ann Kiun” was elected annually to manage the temple. This committee was later renamed “Soon Hong Kong Si” which became a registered society when the Sarawak Government introduced the Registration of Societies Ordinance in the year 1914. In 1921 the TeoKiaw Club was formed to complement the role of “Soon Hong Kong Si” for the growing Teochew Community. In 1933, “Soon Hong Kong Si” was renamed “TeoKiaw Association” and subsequently to “Teochew Association” in the year 1937. The “Soon Hong Kong Si” was initially located at No. 1 Main Bazaar. 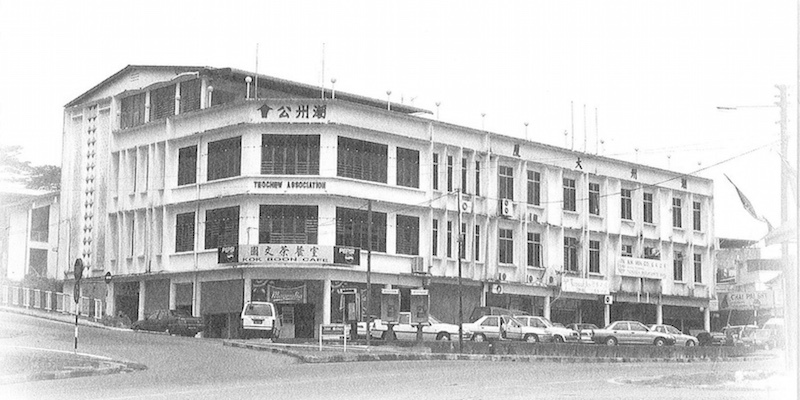 The shoplot was sold in 1960, and the Kuching Teochew Association moved to the present premises in the year 1963. In 1963, The Kuching Teochew Association joined The Federated Teochew Associations of Malaysia, and since then it has organised four Teochew national conferences in 1966, 1978, 1989 and 2005 respectively in Kuching. On 29 November 1964, the Kuching Teochew Association held its centennial celebration in a grand scale. In 1976, the Youth Section of Kuching Teochew Association was formed to encourage more Teochew youth to join the Association. The Youth Section since then has been very actively involved in organising cultural and sports activities and growth of the association. Women Section was formed on 1st January 2002.